Woodbridge (in Vaughan, ON) is a well developed neighborhood, with the central area (Woodbridge Ave, just west of Islington Avenue) featuring Market Lane, where you will find a variety of “small town feel” shops, restaurants, Woodbridge Library, and other businesses. I personally love the bakery, CC’s Creations – And I recently enjoyed a lovely Italian dinner at Dimmi Restaurant with my neighbors – Just steps away, you can visit Nino D’Aaversa for awesome wood-oven pizza, or go to the Woodbridge Fairgrounds for many events including Woodbridge Fair in the fall & Ribfest in the summer. Nature lovers will appreciate Boyd Conservation Area and Kortright Centre, which features educational programs attended by local students. Thrill seekers can visit Canada’s Wonderland in just 10-15mins. Shopaholics can spend all day at Vaughan Mills Shopping Centre enjoying a huge variety of stores & “outlet mall” shopping choices. Both East & West Woodbridge provide a nice selection of detached homes, as well as townhomes and low-rise condos in some newer developments over the past 5 years. Most of the detached homes in Woodbridge are on quiet streets & have good sized lots, between 2,000-3,000 sf interior space, and usually between 15-30 years old. There are very limited options of detached new-builds in the Woodbridge core area, and a few charming historical homes as well. I have noticed a trend in the past few years of >20 year old homes being renovated with modern finishes – People are realizing that the location & lot-size are prime attractive features, making older homes a great buy in comparison to new builds in Woodbridge. New developments nearby are usually north of Woodbridge (ex: Kleinburg), are modern & beautiful, but with smaller lots &/or much higher prices per s.f. Convenient access to great schools & amenities have a huge impact on buyers looking to raise their families in an established, ethnically diverse neighborhood. I currently live in the area called “West Woodbridge” (just north of Highway 7, west of Islington Ave). My kids go to Woodbridge Public School (elementary) & Woodbridge College (high-school), and we are very pleased with the schools & our lifestyle here! I believe families re-locating from Toronto will appreciate more affordable housing costs, as well as a lifestyle that supports organized sports, recreation, shopping, nature & arts. One thing I must mention for people considering re-locating from Toronto is that public transportation options are somewhat limited Woodbridge “walk score” is 71/100 – with the biggest weakness being public transportation (score is 53/100). Note for example: We looked into options for my older son to get to school: The drive is under 10 minutes, walking is about 35 minutes, but the bus ride is 45 minutes long, with 1 transfer. Having an automobile is highly recommended when living in Woodbridge. With a vehicle, commuting around the GTA is easy, given quick access to major highways: 400, 427, 407, 27, and 7. We can get to Toronto, Mississauga, or Markham in about 30 minutes (without traffic), and drive to central Brampton, Etobicoke or Richmond Hill in under 20 minutes. Feel free to contact me with any questions about Woodbridge, or any other area of interest. I would be happy to help provide insight or do some research for you! The city of Vaughan, tagged “The City Above Toronto”, provides many positive features, making Vaughan one of the most desirable places to live outside Toronto’s core. In 1999 when my husband & I got married, it made perfect sense to live in a condo in King West (Downtown Toronto). We enjoyed close commutes to work, great restaurants & fun night life. After a few years, our family started to grow with the birth of my first son. Weighing all the option, in 2002 we decided to move to Vellore Village, what seemed like a “convenient” area for us in Vaughan. We have been very happy in Vaughan, enjoying many benefits, including great schools, community centres, children’s programs, parks, Vaughan Mills Shopping Centre, a culturally diverse population, great neighbours, quick access to major highways & public transportation/Go Train. We are now excited about the upcoming subway extension & the new Vaughan Hospital which is under construction (across from Canada’s Wonderland). For our family, being close to many friends & having quick access to surrounding cities like Toronto, Etobicoke, Mississauga, Brampton, Barrie & Richmond Hill are a huge bonus. Over the years we have made great friends & found favourite places in each of Vaughan’s distinct neighbourhoods (Woodbridge, Vellore Village, Sonoma Heights, Kleinburg, Weston Downs, Thornhill, Patterson, Beverly Glen & Maple). Vellore Village would be considered a reasonable “entry point” into Vaughan, with fair starting prices, a good mix of property types & ethnic demographics for families & couples, surrounded by many conveniences and affluent neighbourhoods, such as Kleinburg, Thornhill, and King City. 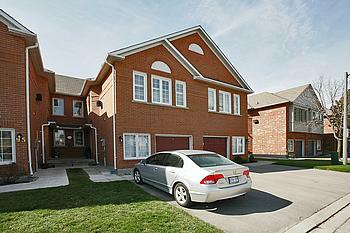 In 2008, we had outgrown our townhouse in Vellore Village, and decided to move into a larger detached home in a slightly older area of Vaughan, known as West Woodbridge. Property values have continued to rise in Vaughan at a rate of about 7%/year, which gave us the equity to up-size! We opted to buy an older home, which we will update over time, as we plan to stay here for a long time. If you are considering moving to Vaughan, and wish to learn more about the area, feel free to contact me! Sophisticated New Condo Development in Vaughan. Great location & smart buy. Expo (Vaughan Metropolitan Centre) will have immediate access to TTC/Subway, slated for 2015 completion. 1BR + Den units are selling for about $430/s.f.